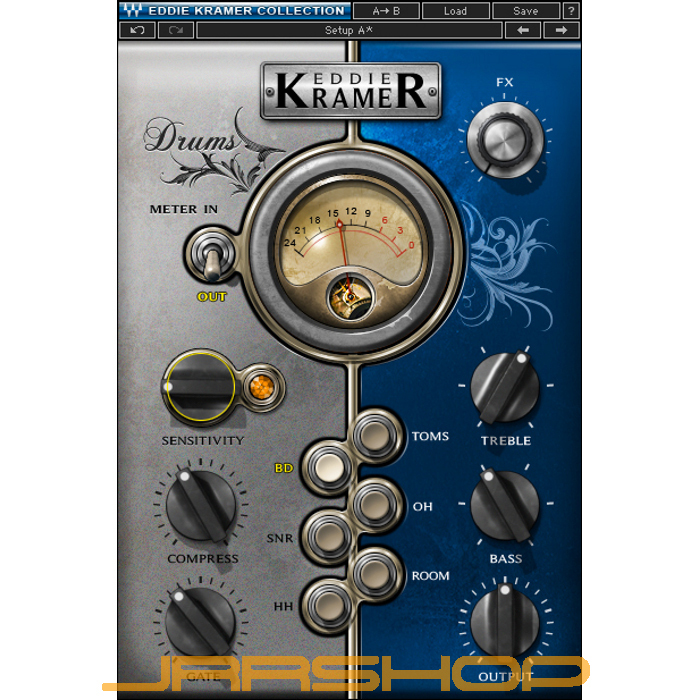 Eddie Kramer on the Drum Channel: "The Drum Channel plugin really captures the essence of my drum sounds. Whether you’re trying to achieve a huge Zep-like sound with loads of atmosphere, or are going for something more dry and down-to-earth like the Stones, or need a heavily-compressed, squashed, Hendrix-type sound, this is the plugin that will get you there, quickly and easily. Since there are individual modes for bass drums, snares, and so on, you can really mix things up by creating your own hybrid drum kits, using your favorite elements from each."